For over 14 years Schumacher Construction was a successful custom home builder in the Portland, Oregon area. Like many other successful builders, Bob Schumacher started out as a framer and finish work carpenter. While vacationing in Sunriver, Oregon, with his wife Sandy, and their three boys, they fell in love with the desert landscape, the clear air and the small town ambiance of the area. It wasn't long before they packed up their boys, pets, Bob's career and reputation to begin anew in Central Oregon. Schumacher Construction began building custom homes in Sunriver, then Bend and soon established itself as one of Central Oregon's finest builders. Over the last 15 years, Schumacher Construction has brought together a team of true professionals and craftsmen with an eye for balance and precision, proven to deliver consistent quality. Schumacher custom homes each have their own personality, and are thoughtfully designed. Schumacher built homes incorporate thoughtful design and livability. From the moment you walk through the front entrance, you can feel the difference; the fine detail, the flow of the design and the quality craftsmanship that sets a Schumacher home apart from the rest. Over the last 20 years, Schumacher Construction has assembled the most qualified team of contractors and craftsmen to ensure the highest standards during every phase of construction. Our design team includes Bend Oregon Award Winning Custom Home and Landscape Design Company Homeland Design LLC. We also are proud to work with Patty Jones an award-winning Interior Designer based in Bend Oregon who serves your Interior Design needs through out Central Oregon. 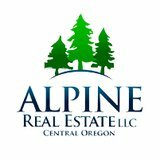 We have been a custom home builder throughout Central Oregon including Bend, Sunriver and Sisters. Our attention to detail fills your home with a character and personality that sets a Schumacher home above the rest. For an additional quality check, Schumacher Construction oversees each job site on a daily basis. Schumacher Construction builds custom and "spec" houses priced from $250,000 to over $1 million. With an obvious flare for design, Schumacher specializes in Lodge, Tuscan and Northwest Style Homes.